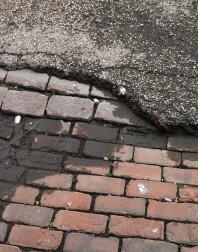 These pictures were taken outside our studio in Chicago, just west of the Loop. 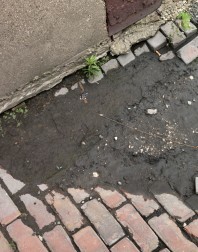 Lately, we have been thinking of documenting the city outward from our studio. 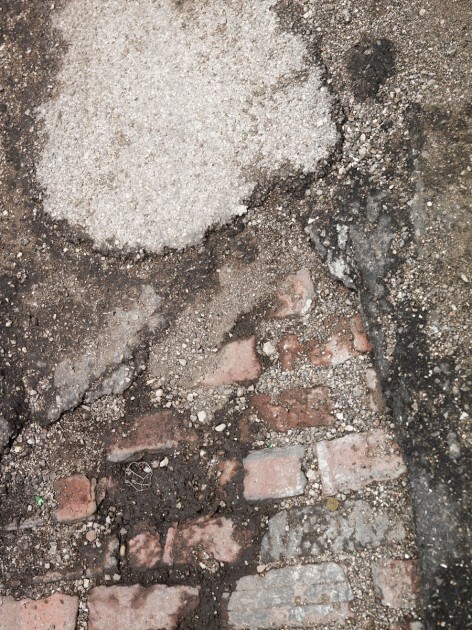 This project is called Old Roads. 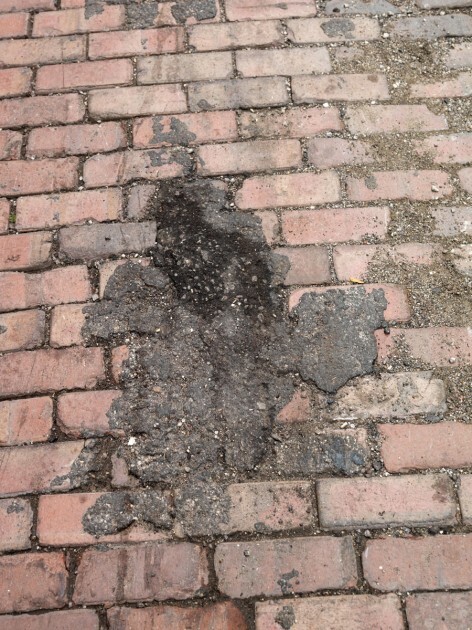 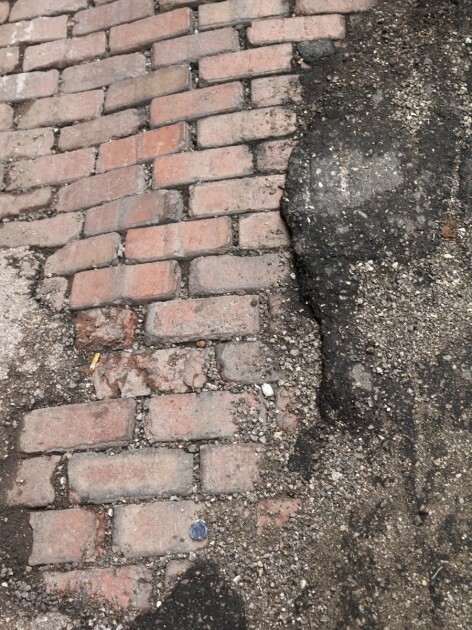 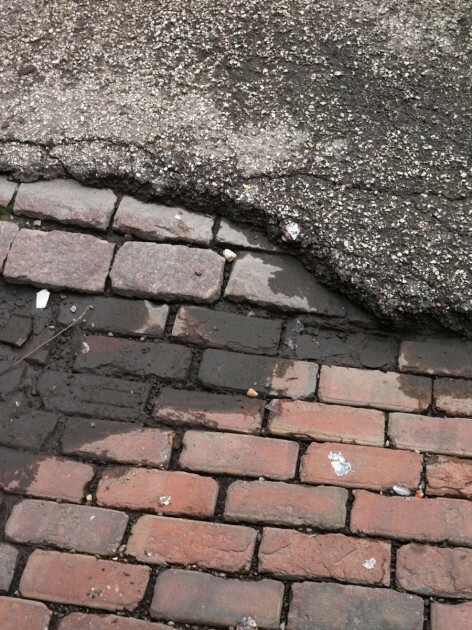 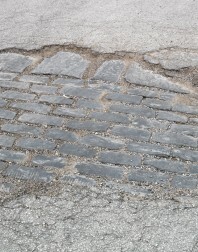 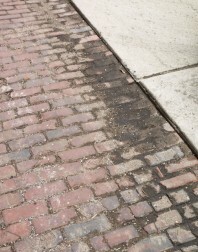 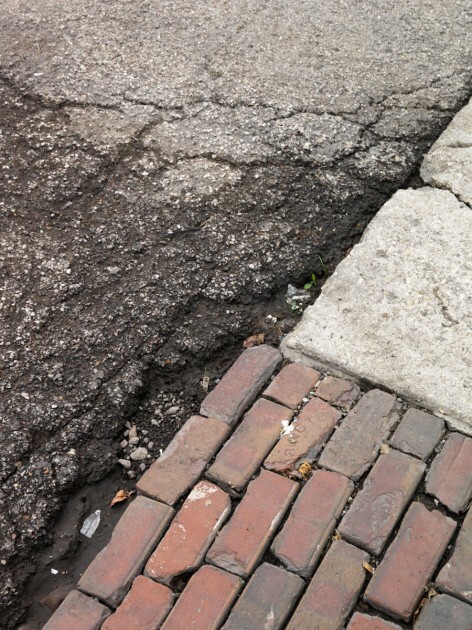 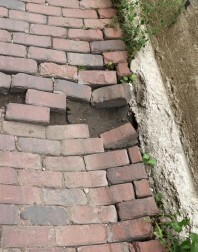 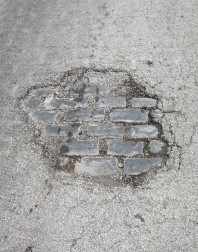 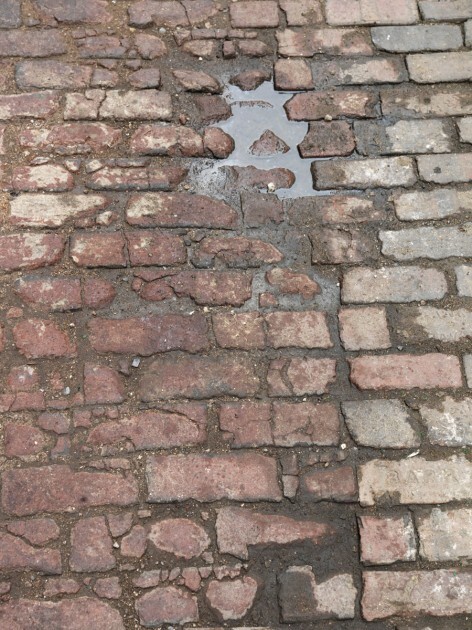 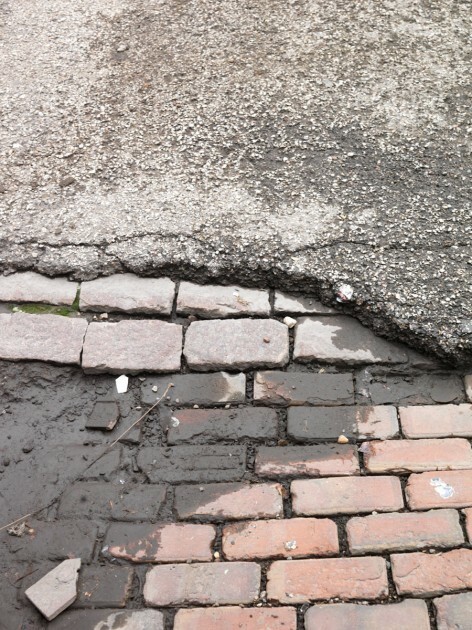 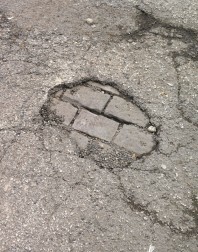 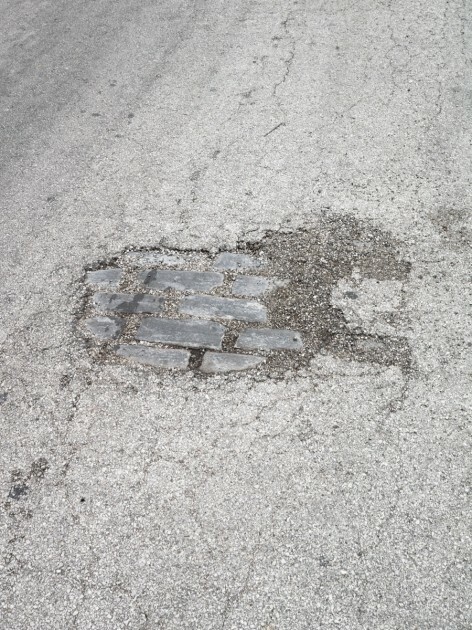 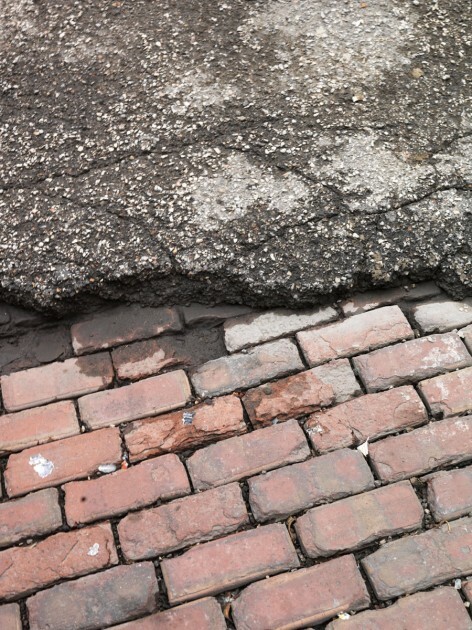 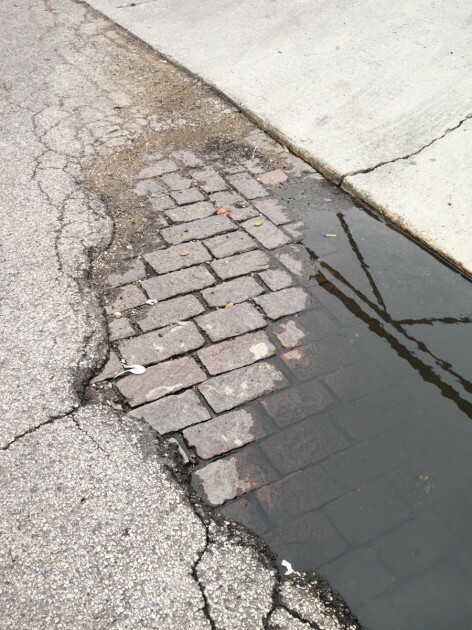 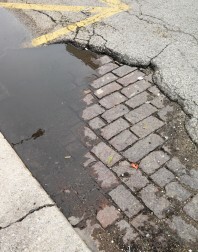 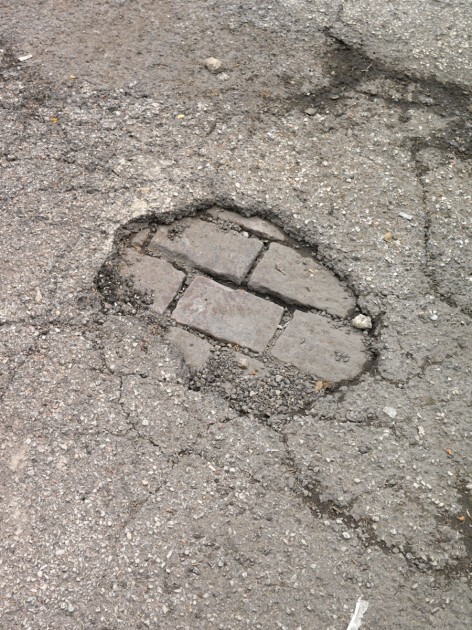 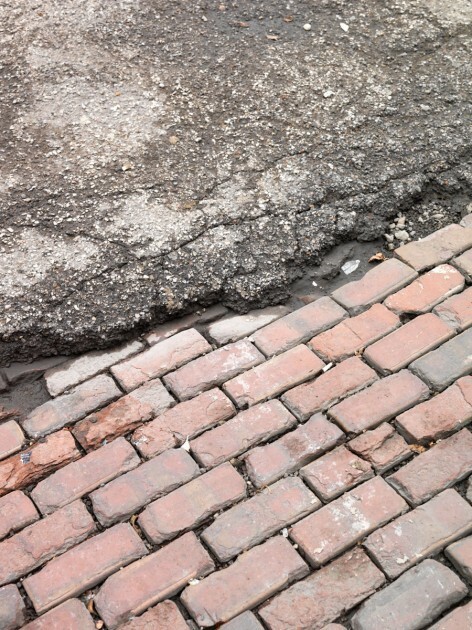 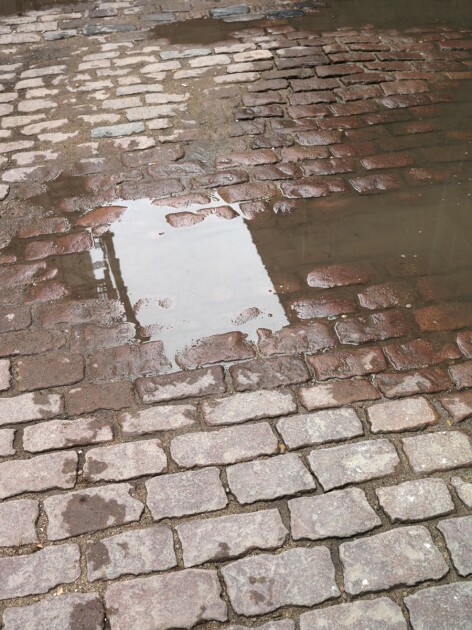 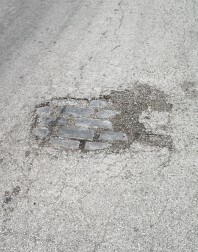 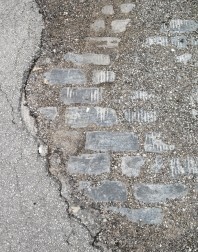 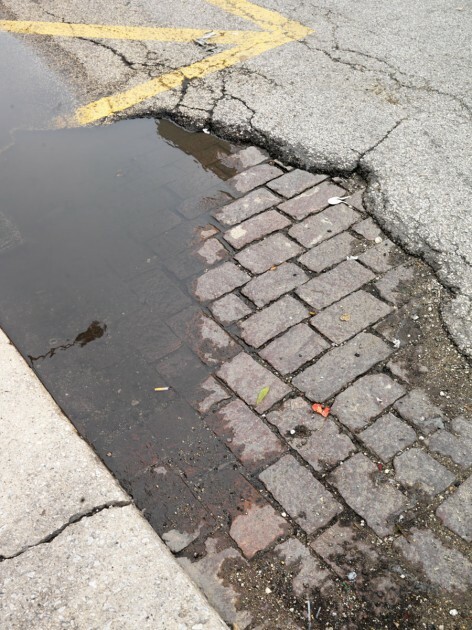 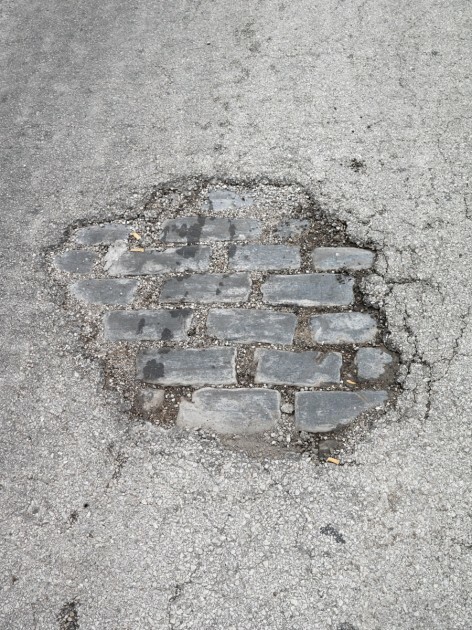 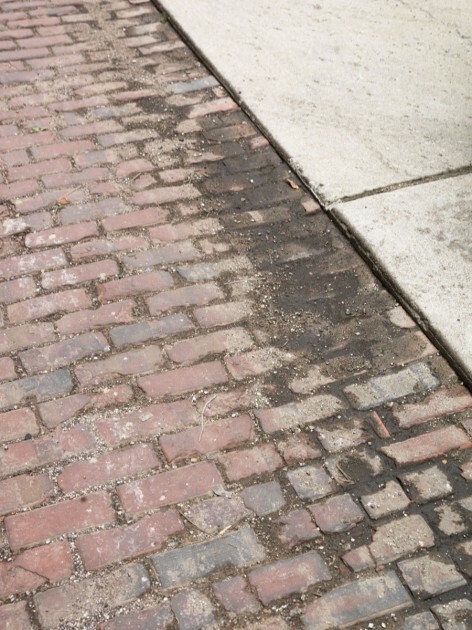 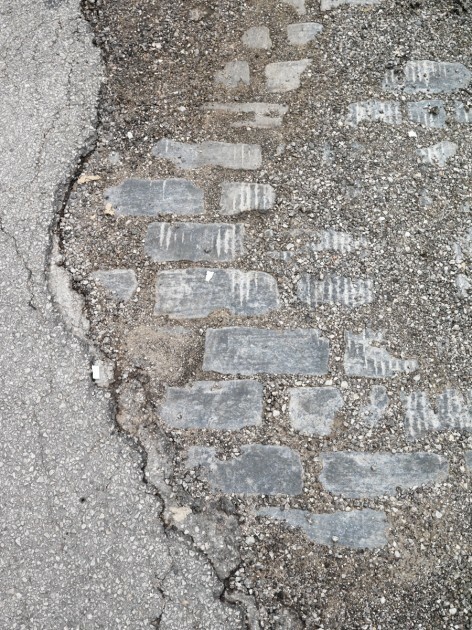 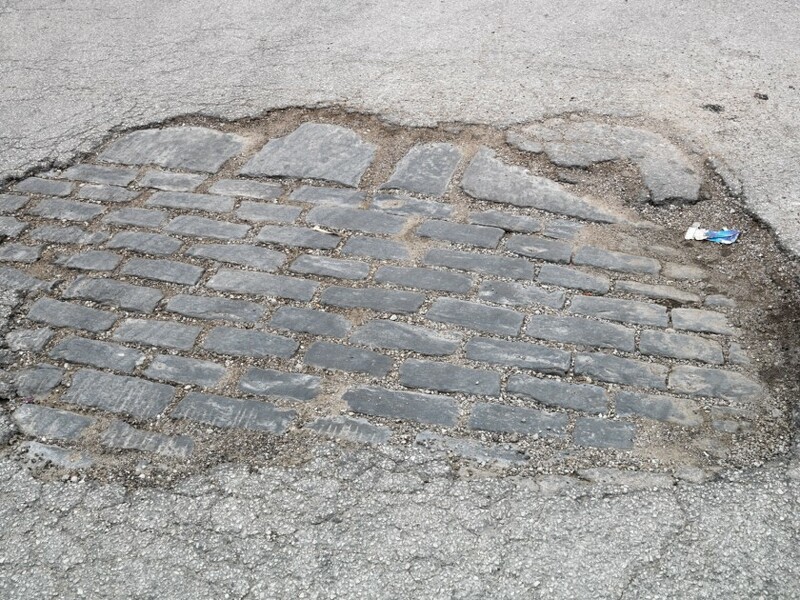 The title seems to refer first to the Victorian cobbled streets of Chicago before asphalt was laid over them but in many ways the title also refers to the crumbling new streets with their potholes. 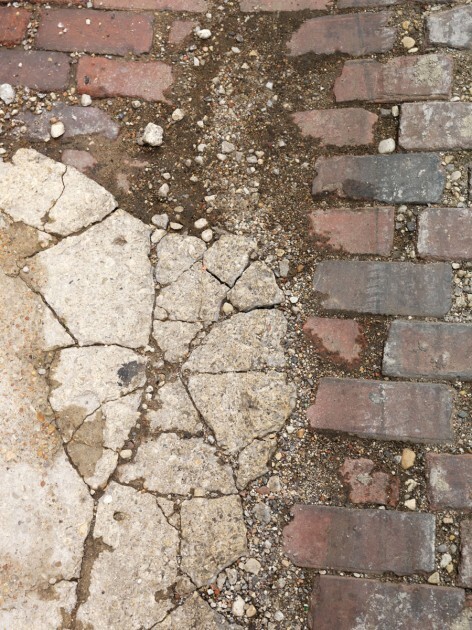 Some of the photographs were taken on Fulton Market, which is home to the meatpacking district and a Belgian Beer pub we like to frequent. 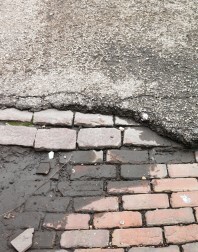 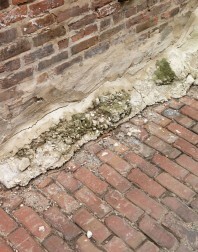 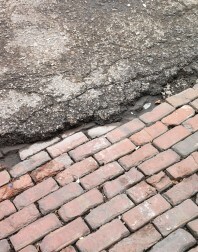 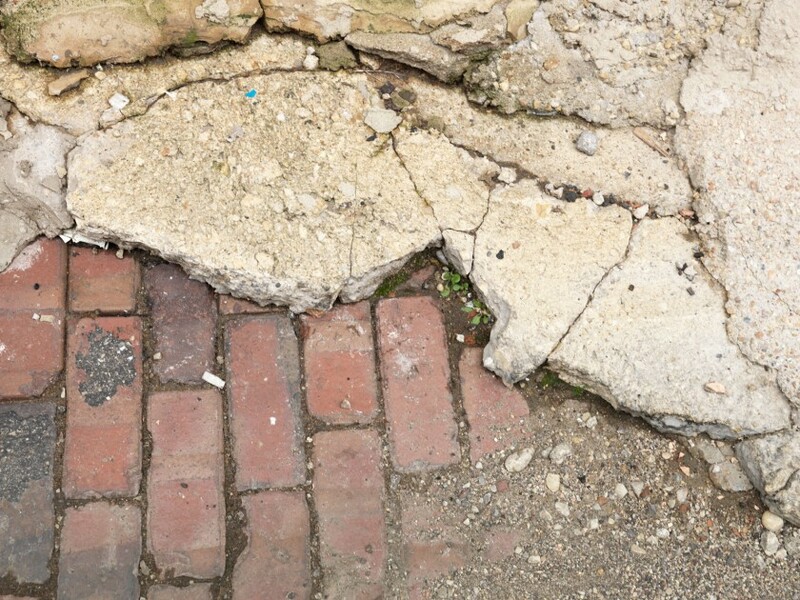 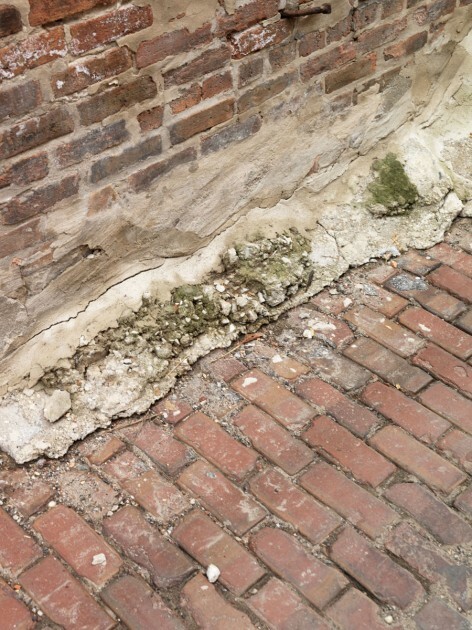 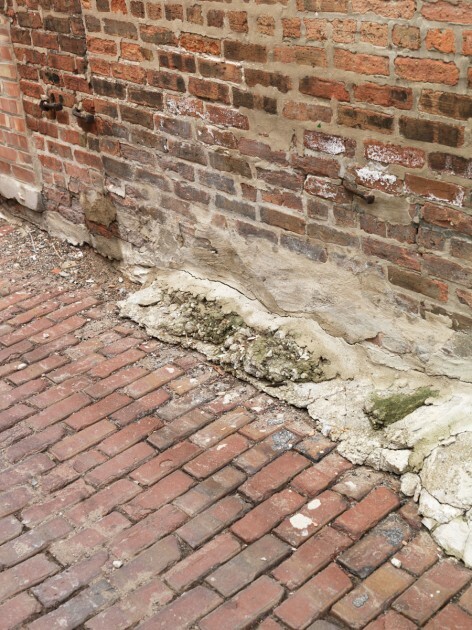 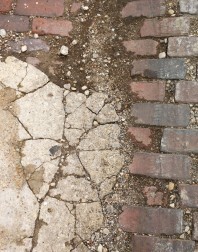 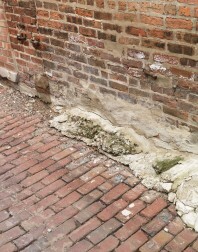 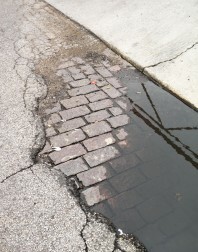 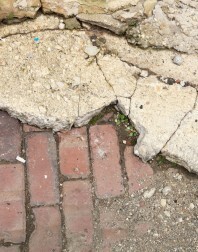 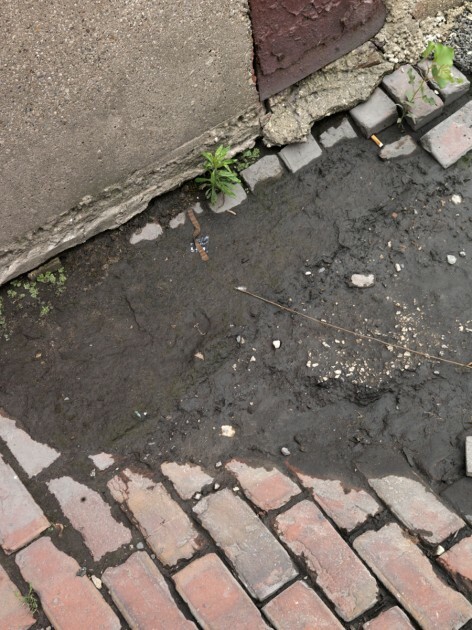 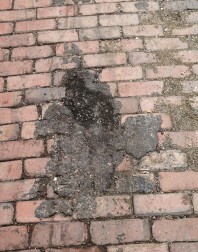 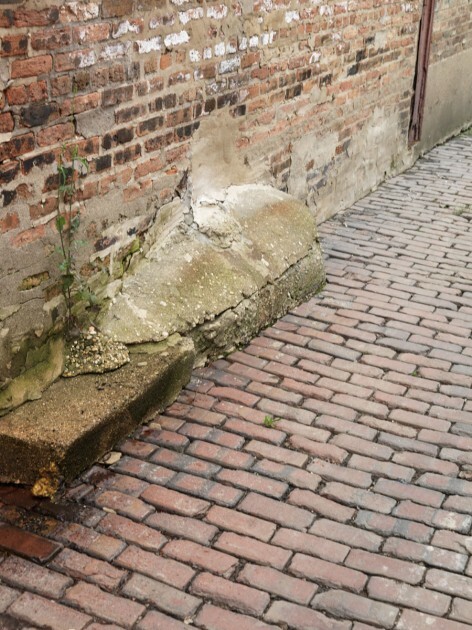 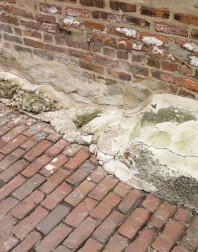 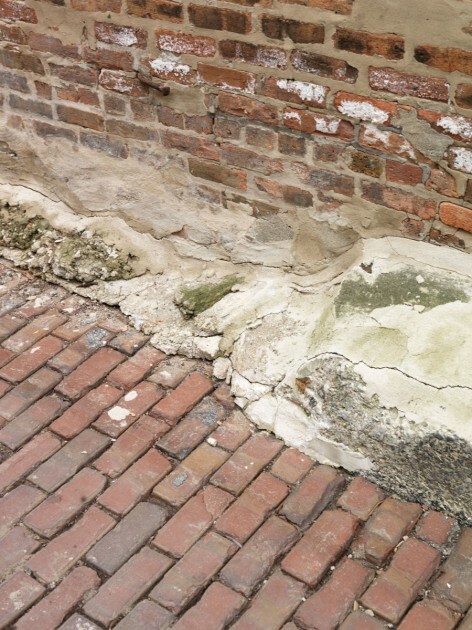 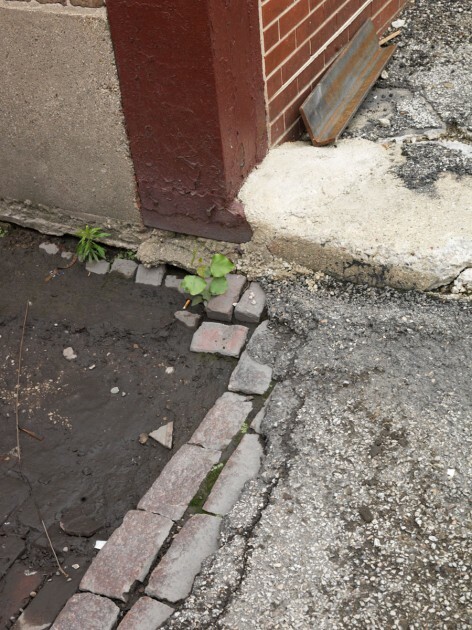 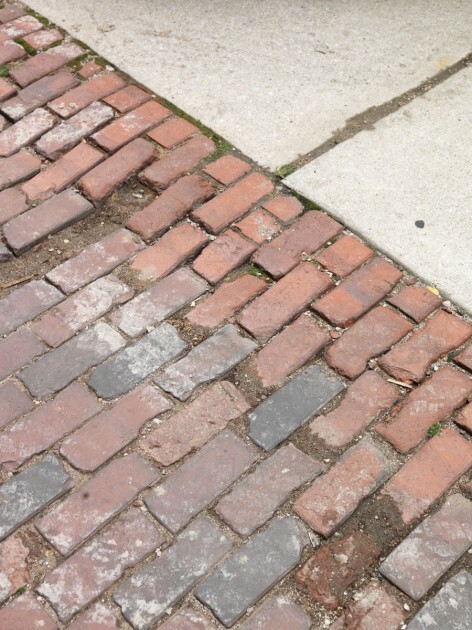 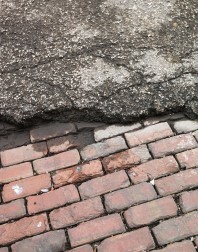 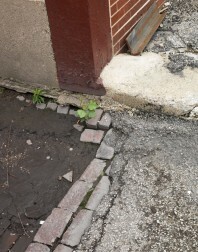 Of these, one of our favorites is where someone added cement to cover cracks in between the building and the road. 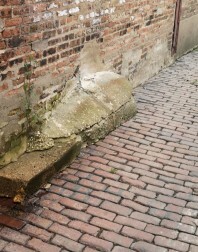 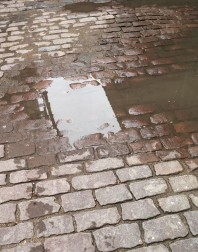 The cement and cobblestone look sculptural and remind us of Joseph Beuys’ Fat Chair, 1964.